Perched on a wooded stretch overlooking the Valley of the Moon, this family retreat is at once warm and embracing, and light and spacious. 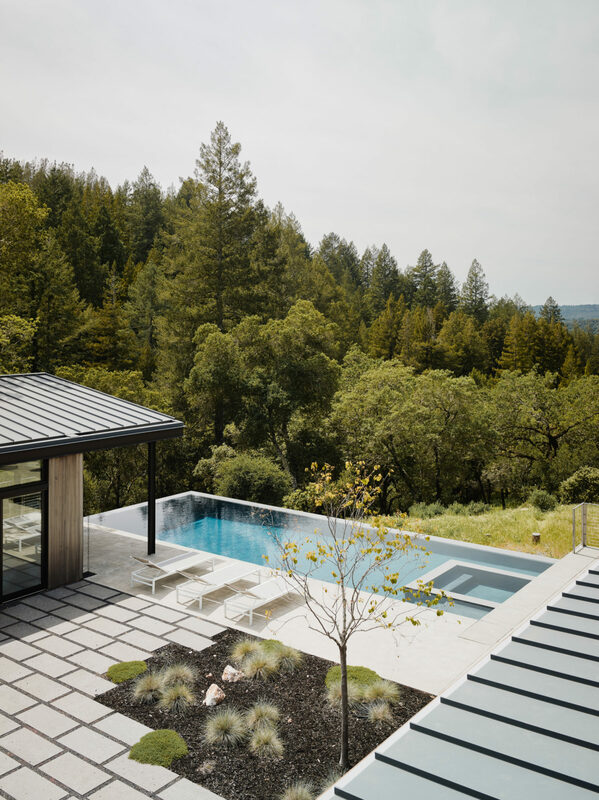 Approaching the large, sloped site with a bold hand, Butler Armsden placed this Sonoma home on a poured-concrete platform, providing expansive views that reveal themselves only after visitors have passed through to the courtyard of the house. An elongated pool tucked into the concrete mass of the platform makes it possible to swim just below the height of the surrounding tree canopies. The architects designed the house with equal attention to composition; three connected volumes of different heights wrap around the center of the podium (or plinth), and the spaces inside them are carefully scaled: small enough for introspection, big enough for taking in the landscape. 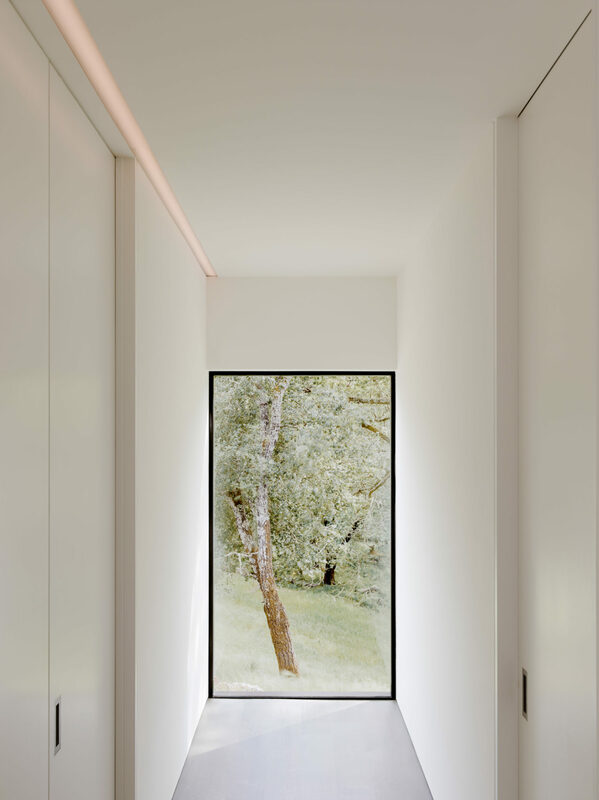 Large picture windows frame the forest beyond and highlight the home’s airy quality by capturing the cool valley breeze. The minimalist cantilevered bunk beds redefine the traditional bunk room, and look to the summers ahead.